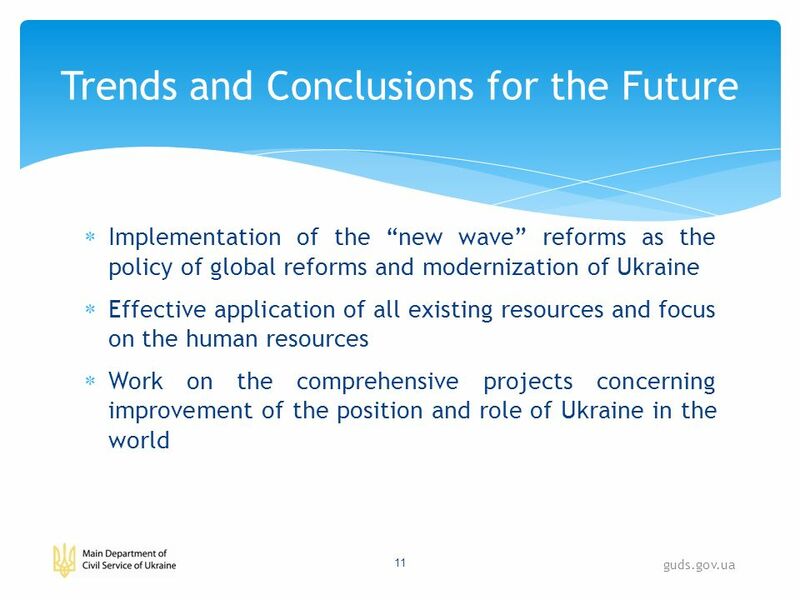 Update on Developments in Ukraine Mr. Tymofiy Motrenko, PhD, Head of the Main Department of the Civil Service of Ukraine September 7, 2010 guds.gov.ua. 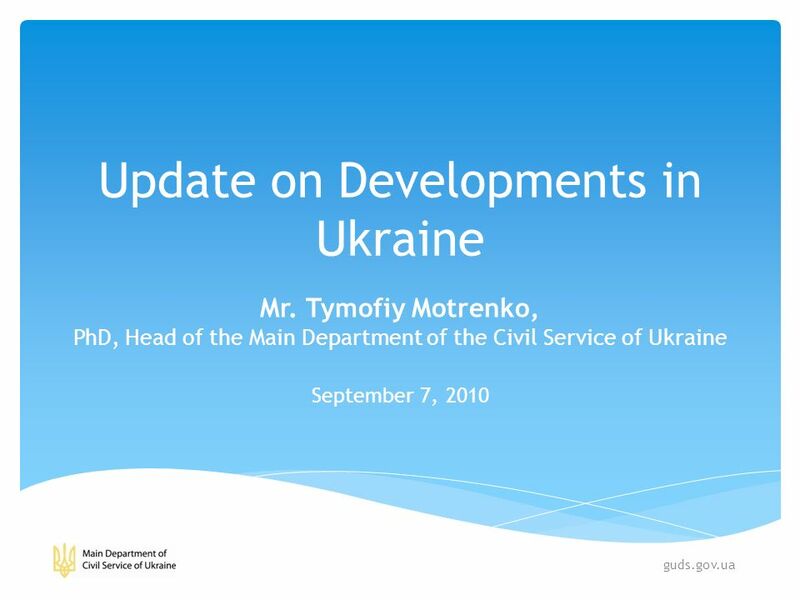 Download ppt "Update on Developments in Ukraine Mr. Tymofiy Motrenko, PhD, Head of the Main Department of the Civil Service of Ukraine September 7, 2010 guds.gov.ua." 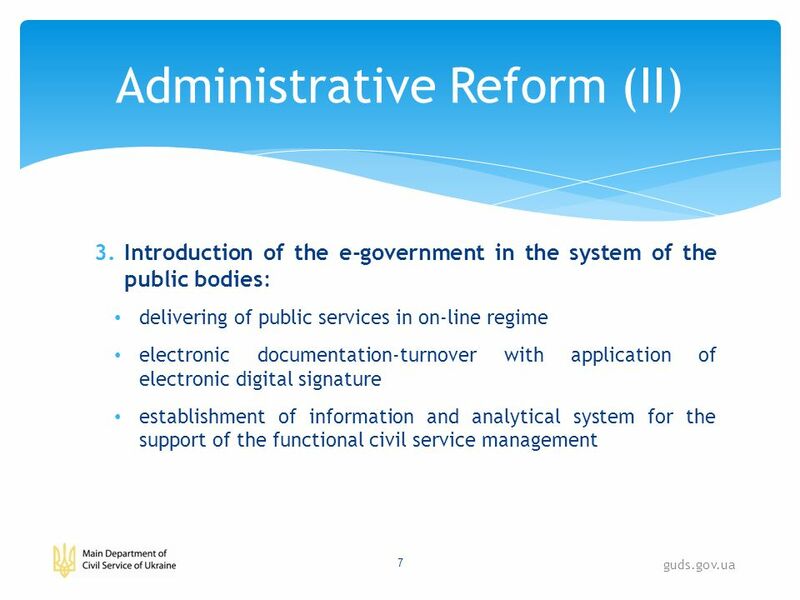 Procurement Mainstreaming Process in Indonesia. Figures about Significance of Public Procurement Public procurement in Indonesia is around 8 % of GDP. REALIZING BOSNIA AND HERZEGOVINAS EUROPEAN POTENTIAL: FROM POST-CONFLICT TO PRE-ACCESSION FROM DAYTON TO BRUSSELS - PROGRESS ON EU INTEGRATION - Mr. Adnan. 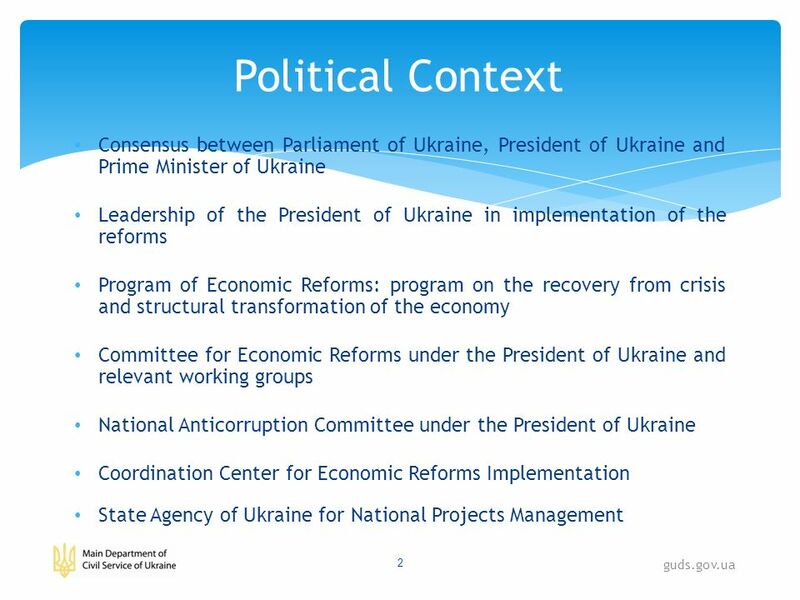 ● Ukraine ● Kyiv ● 2010 ● UNDER PRESIDENT OF UKRAINE. Ministry of Interior of Montenegro,,The Fight against corruption and organized crime in Montenegro Ministry of Interior of Montenegro,,The Fight against. EuropeAid Co-operation Office Institutional Capacity Development Operations for the ACP Countries Unit AIDCO C4 Centralised Operations for the ACP Countries. 1. Key issues 2. 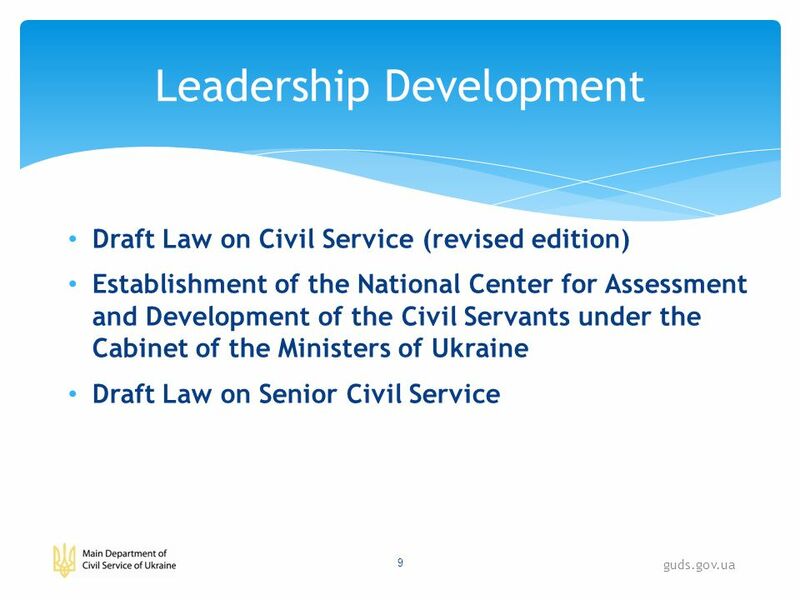 Child rights in governance assessments2. 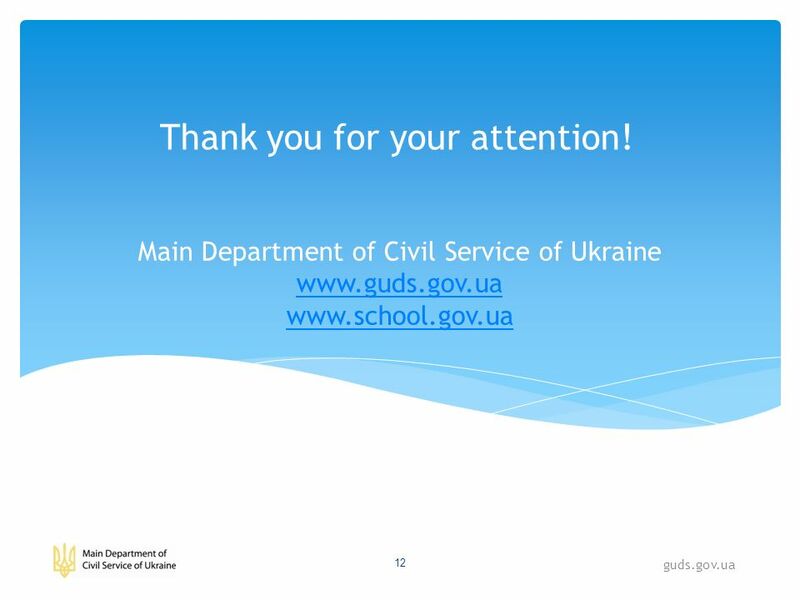 Child rights in governance assessments 3. Strategies3. Strategies 4. 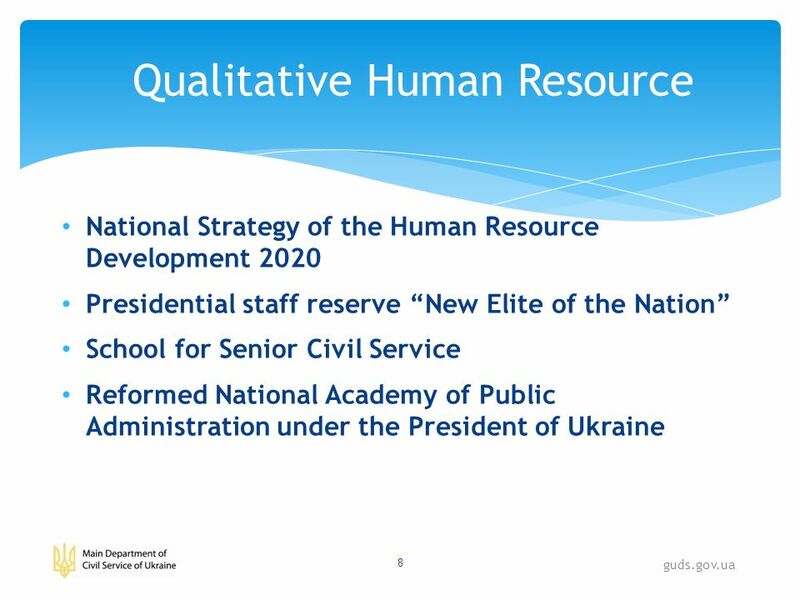 Regional examples4. Regional. Winnie V. Mitullah DISCUSSION NOTES ROSKILDE, 7 th OCT 2010. 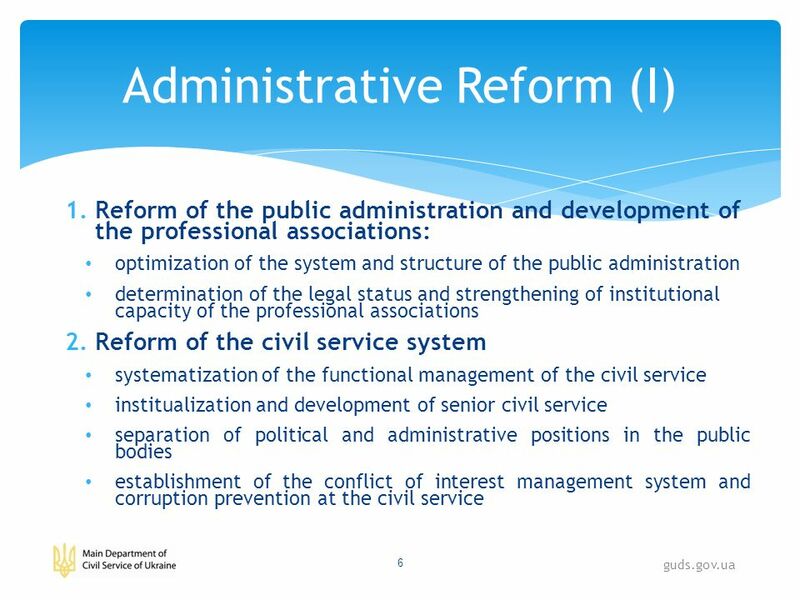 15 years of the unique experience of professional training for public administration Warsaw Dr. hab. Maryna Bilynska Vice-President Head of Public. 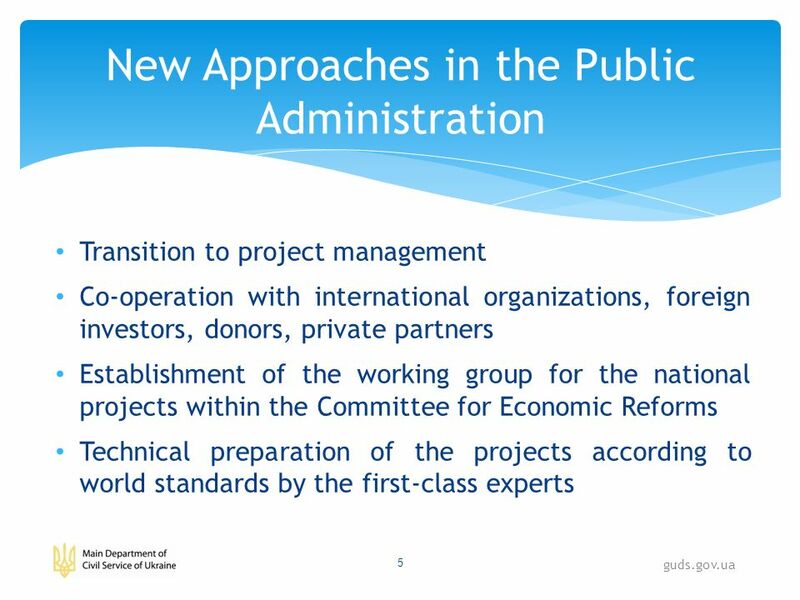 How can Parliamentarians contribute to a Positive Investment Climate? 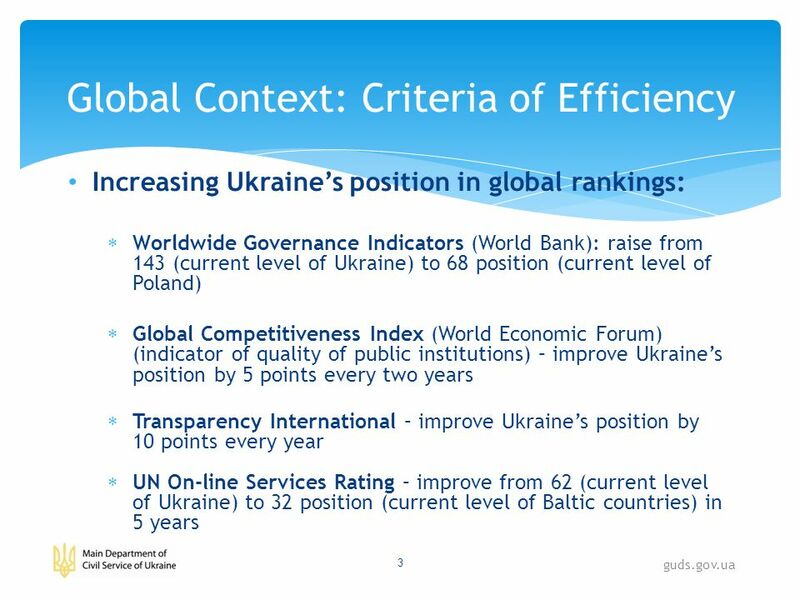 by Rainer Geiger Senior Regional Advisor, OECD 3rd Global Conference of Parliamentarians. 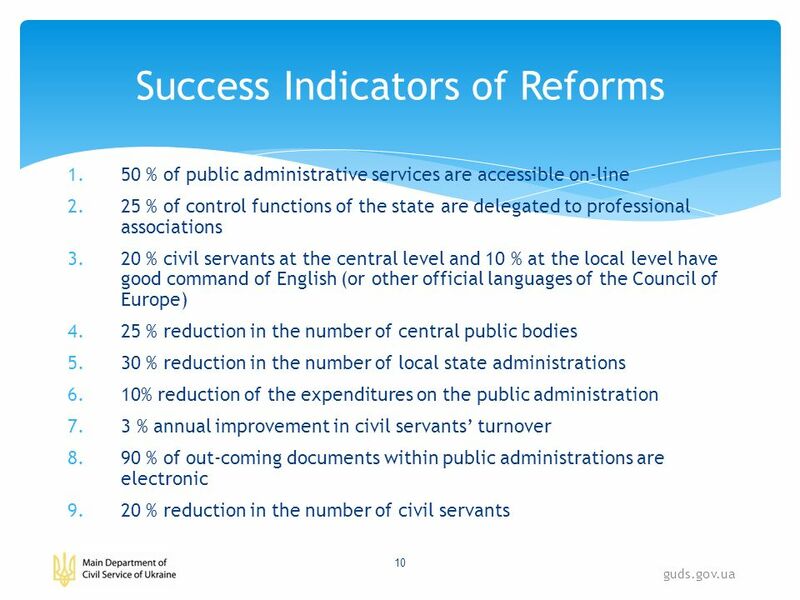 GOVERNMENT OF THE REPUBLIC OF MOLDOVA CENTRAL PUBLIC ADMINISTRATION REFORM ( ): concept and results December 2007 Chisinau. 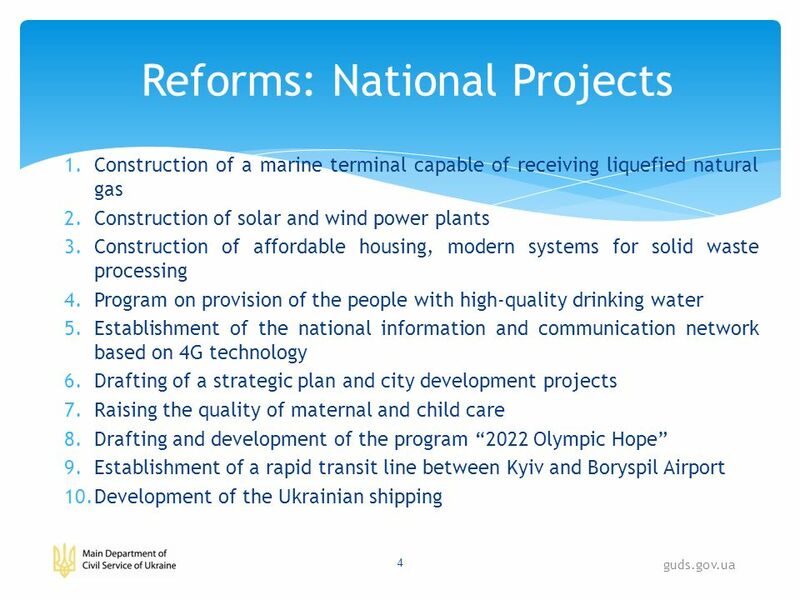 SEPPAC Developing Socio-Economic Performance and Potential Analysis Capacity in Ukraine Potential and Performance of Ukraine Maxim Boroda, Project Manager.